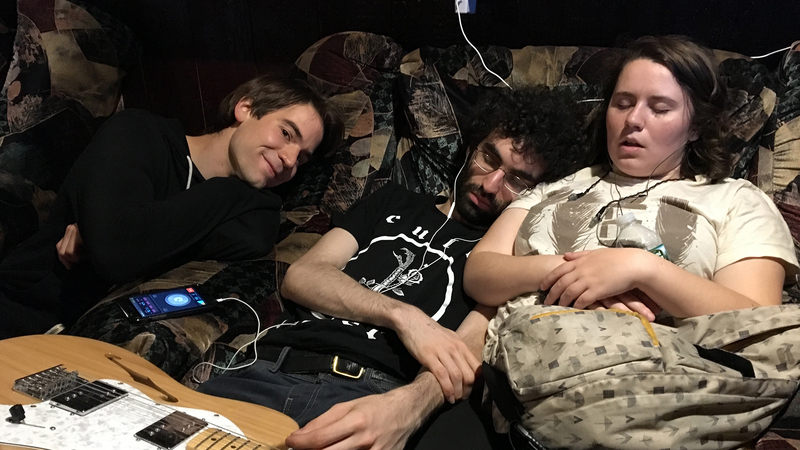 From rockin’ venues to taking cat naps backstage. 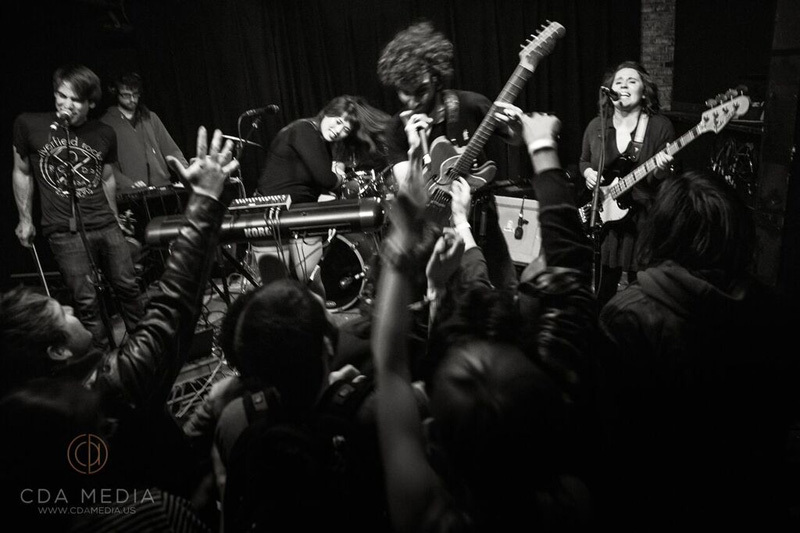 If you’re searching for a band that creates art-rock magic with a dramatic pop flair, you’re in luck—Bent Knee are here to fill said void. 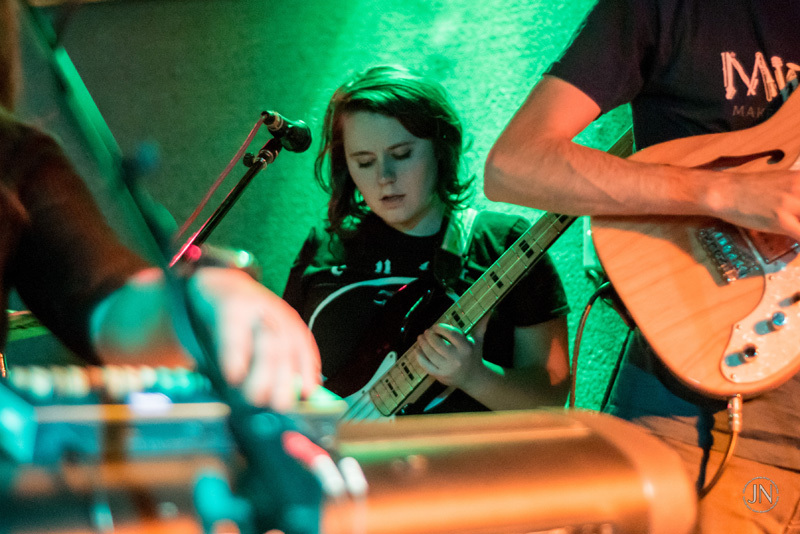 Unique in both sound and name, the Boston group knows how to put on the ultimate performance—made up of a guitarist, bassist, drummer, vocalist, violinist, and a live sound designer, this band dares to turn the concert experience into something entirely different. 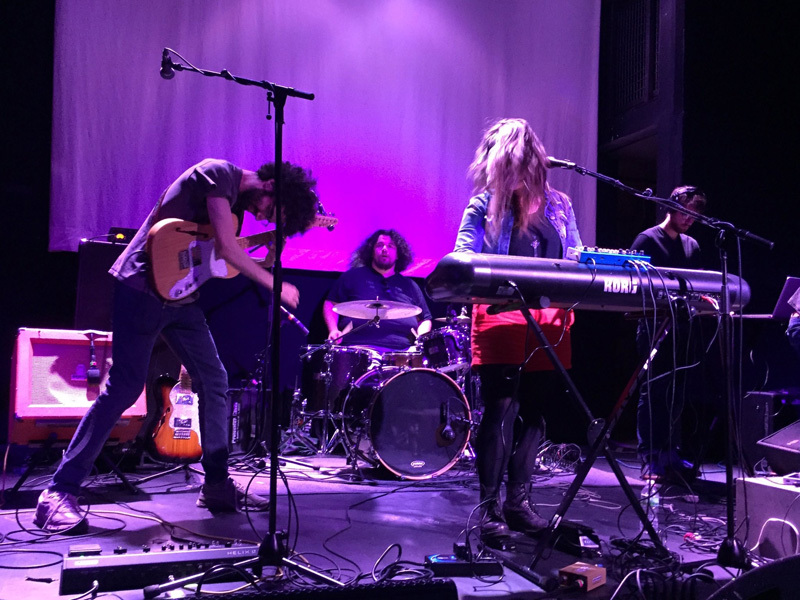 In support of their new album, Land Animal, the New England six-piece embarked on a headlining North American tour and let us in on all the madness. 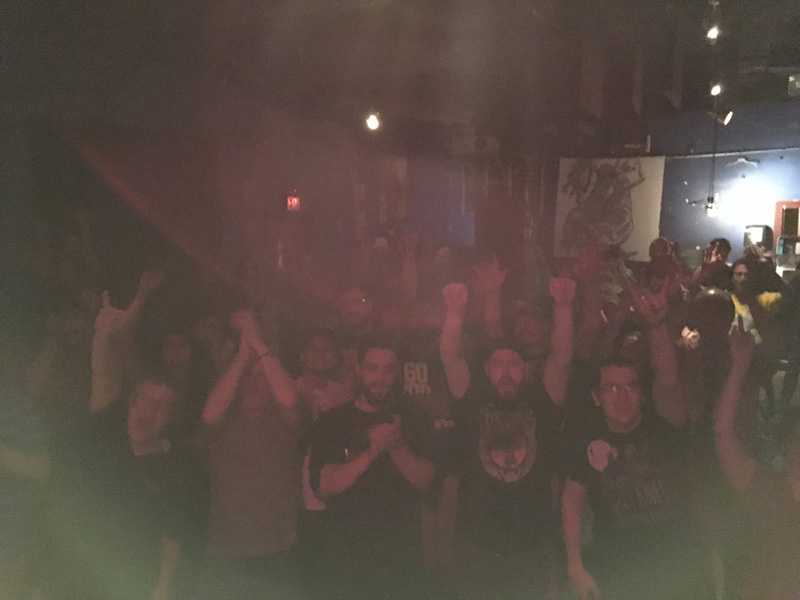 Being greeted by a friendly crowd at every spot along the way, the group was able to spread good vibes, witness a mosh pit at their show (for the first time ever! ), and celebrate birthdays along the way. 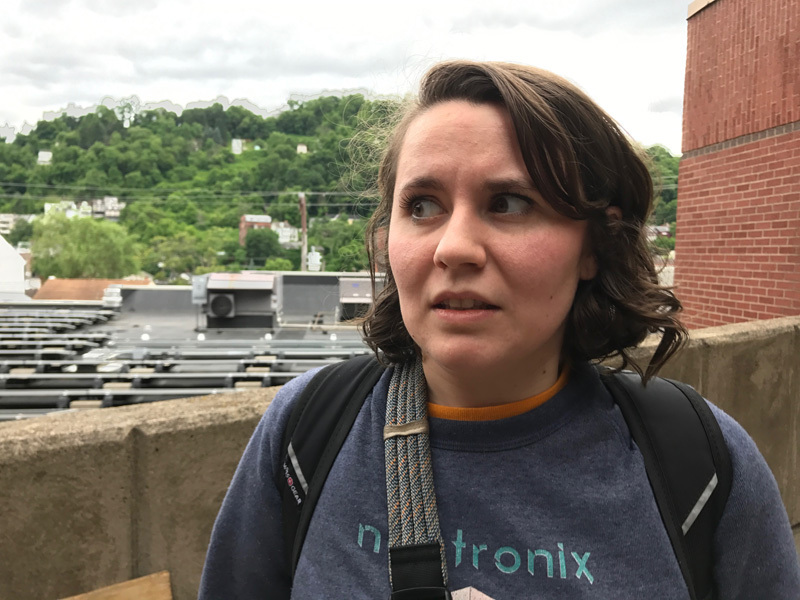 Despite the road fatigue and rest stop-induced déjá vu, the “Holy Ghost” creators will continue on the summer leg of their tour, which will take them through Buffalo, Madison, and Indianapolis before wrapping in San Diego on August 7. 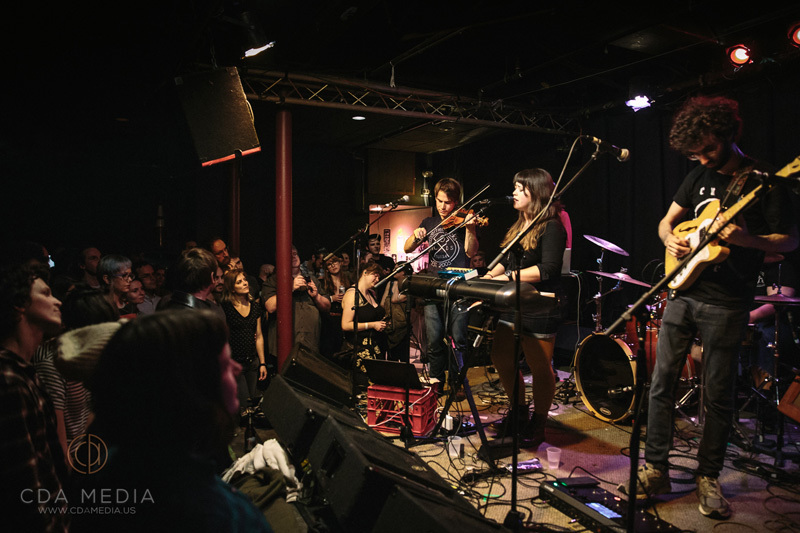 Check out photos from their recent travels below, watch their new music video for "Time Deer", then make sure to track Bent Knee on Bandsintown to see them in a city near you! Day one of tour. 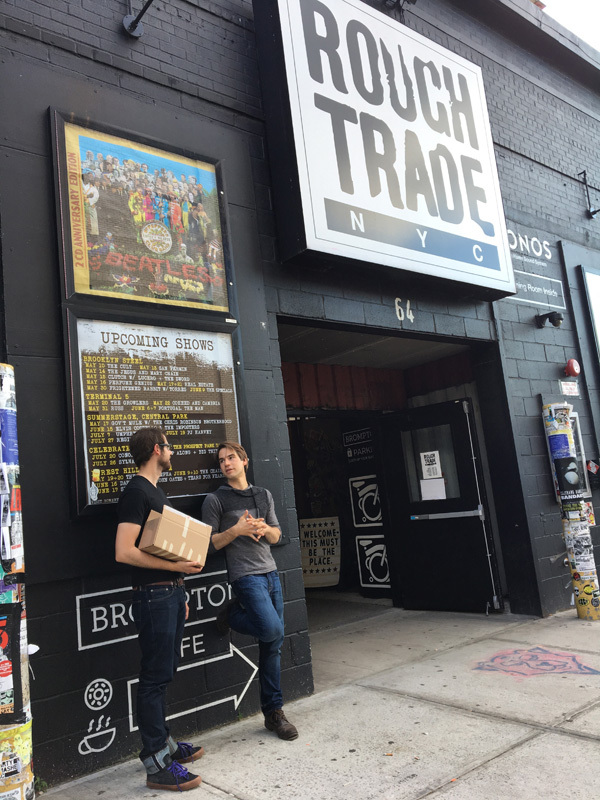 Vince & Chris enjoying the beautiful day outside Rough Trade NYC. Rocking hard for an awesome Brooklyn crowd. 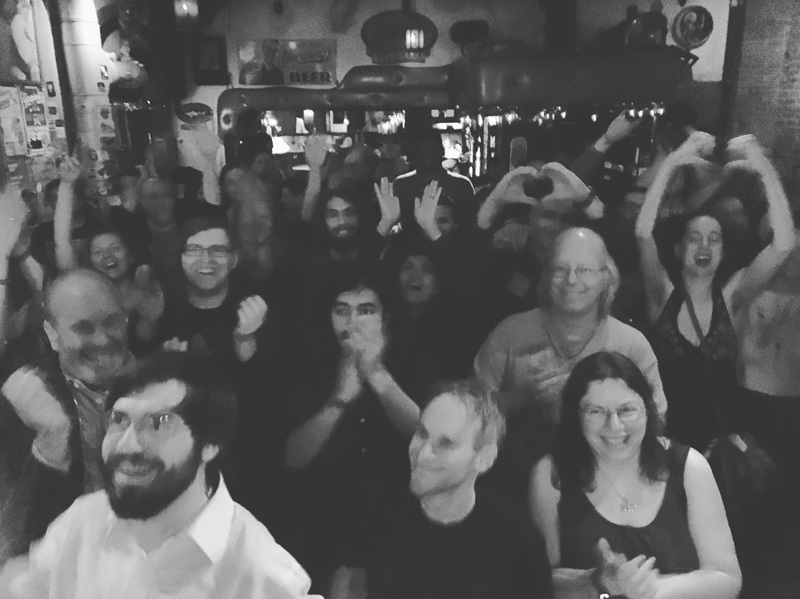 A bit blurry, but a glimpse of our NYC audience. Thanks for helping us kick off the tour in epic fashion! Jessica in New Haven at Cafe Nine. 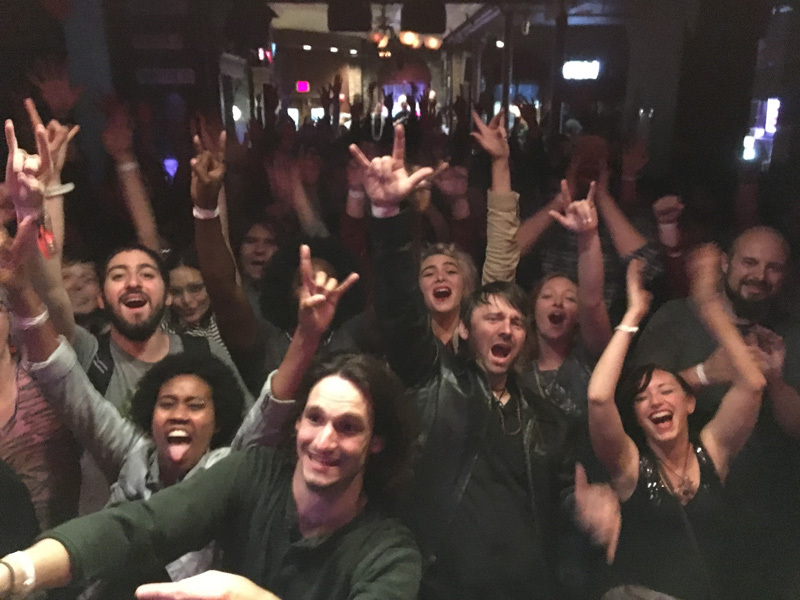 A photo of the audience at Cafe Nine. New Haven is a special place with a vibrant music scene. It’s always fun to play here. An action shot from “ Way Too Long” , the final song on this tour’s setlist. The night marks the first time we witnessed a mosh pit during our performance, as well as Ben’s maiden voyage diving head-first into the audience. 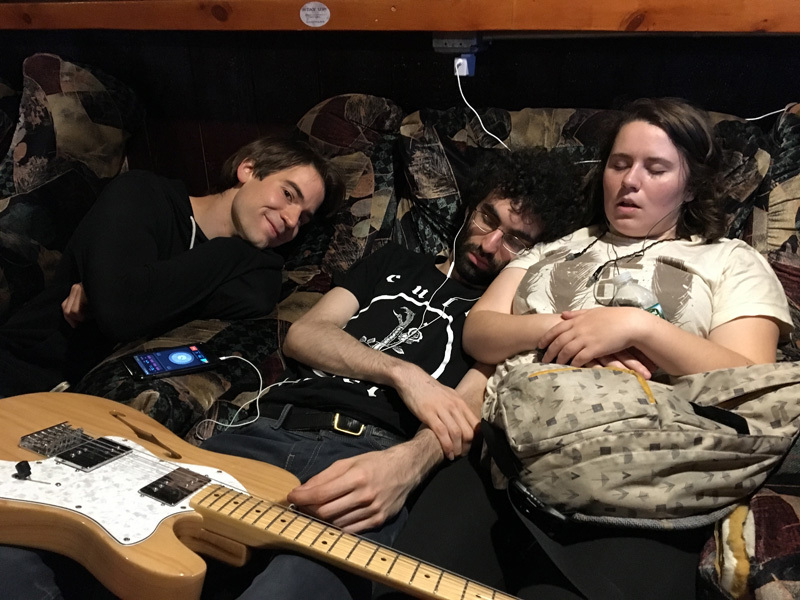 Sneaking in a green room nap before our Philly show at Kung Fu Necktie. Notice the metronome clicking away in Ben’s ears. 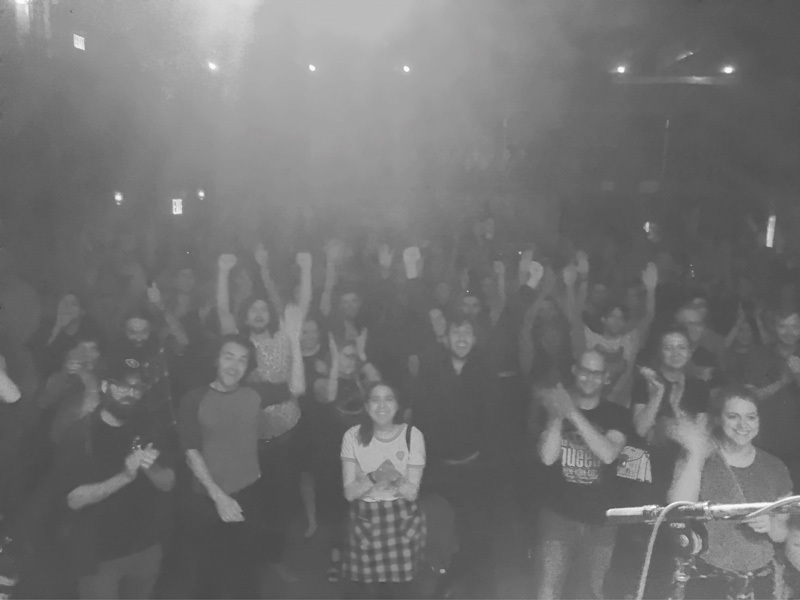 A grainy but love-filled photo of our Philadelphia audience. 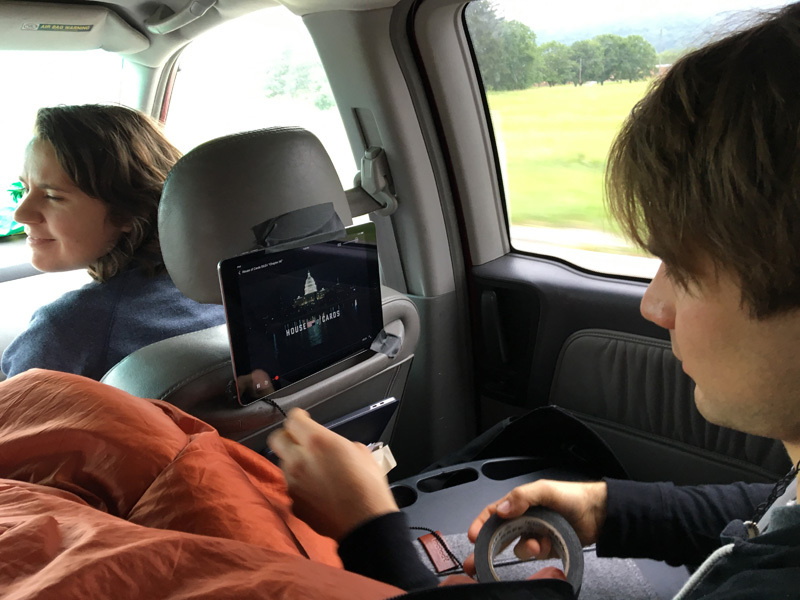 En route to our Pittsburgh show, Chris found the optimal way to watch Netflix in the van. Gaff tape! Jessica outside of the Funhouse at Mr. Small’s in Millvale, PA.
A hazy photo of the Washington, DC crowd. We become instant friends with anyone who stands in the front row wearing a Bent Knee shirt. 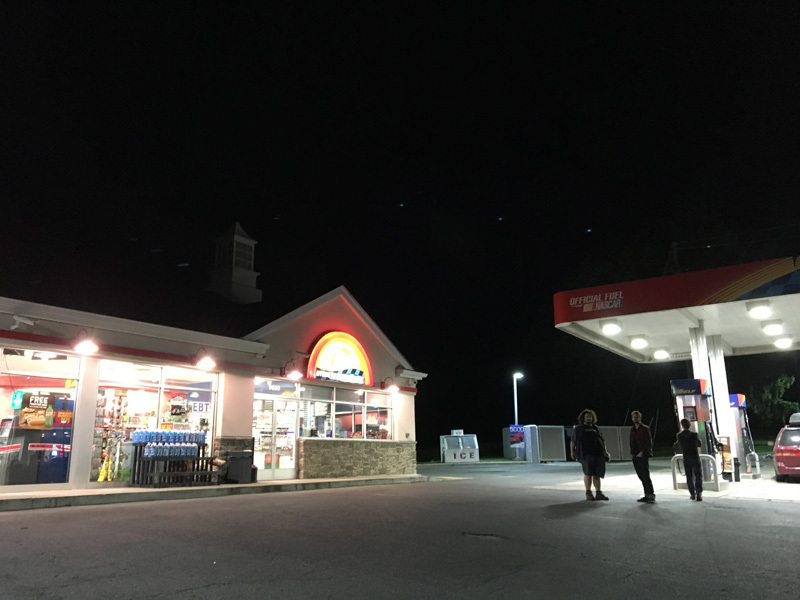 After a great show at Black Cat in DC, this is us en route to Milwaukee. 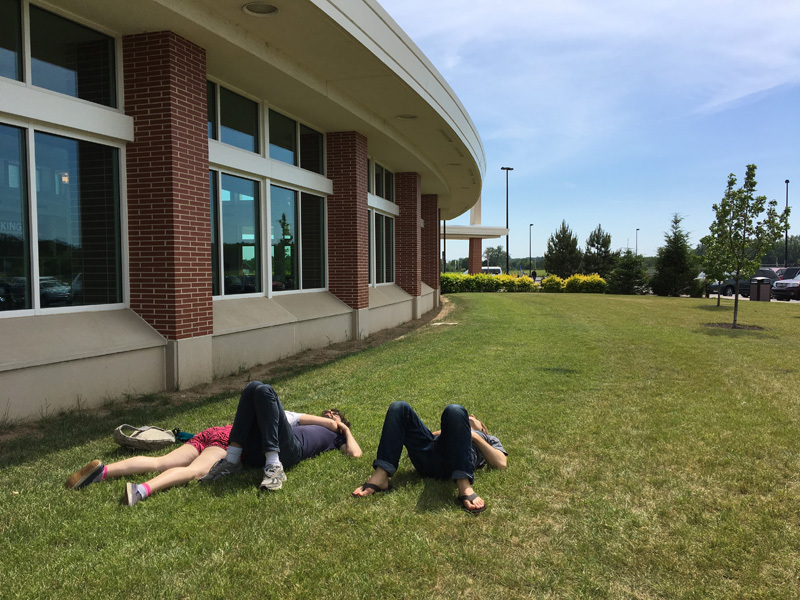 We left immediately after the concert and drove through the night to arrive at our Milwaukee hotel at 3PM, just in time to sneak in an hour of sleep before soundcheck. 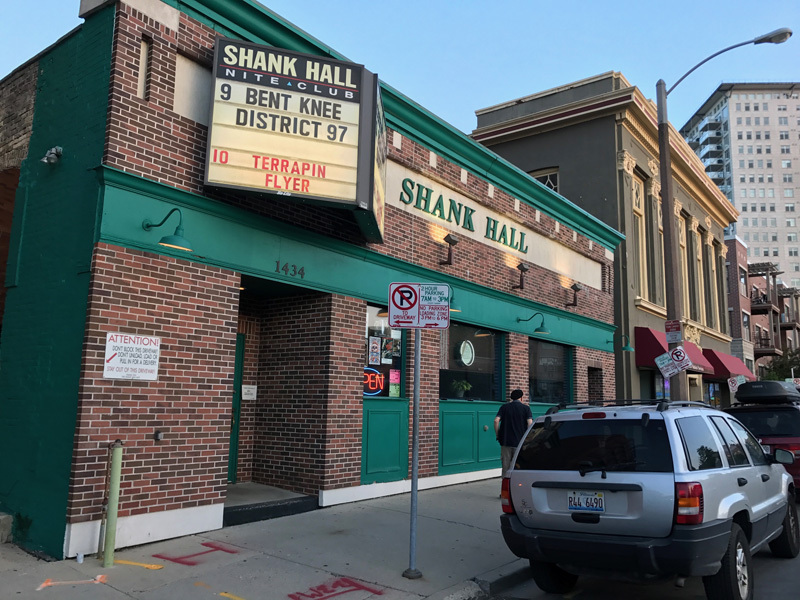 We made it to Shank Hall! 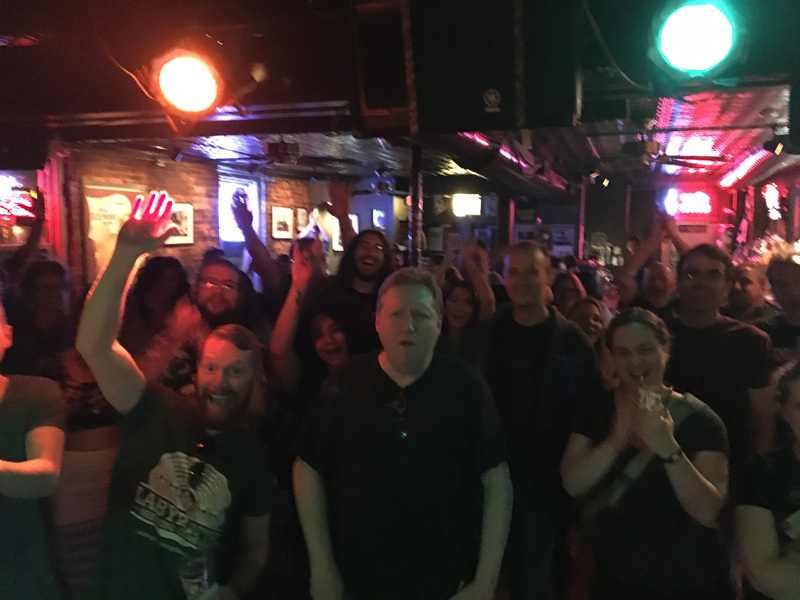 It was our second time at the venue, and another warm and wonderful crowd. 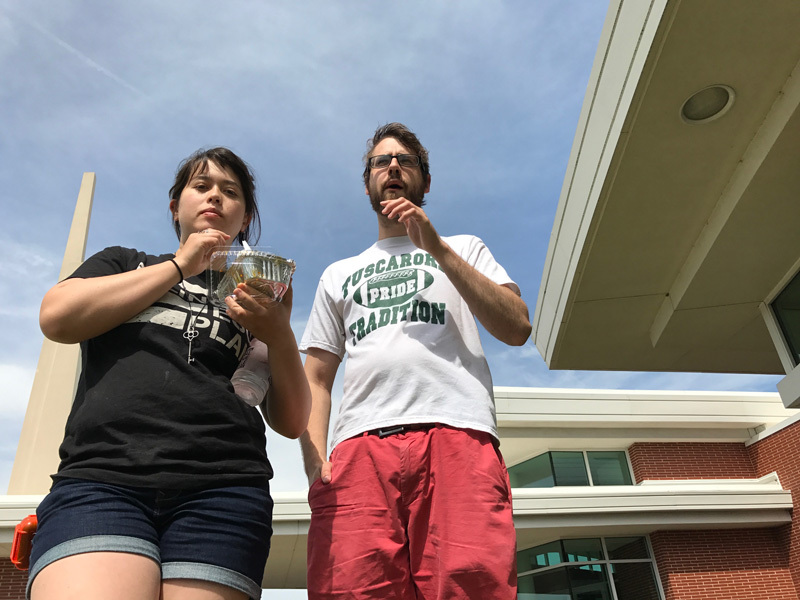 Our day off — a long drive back from Milwaukee to Western PA. All of the rest stops on the Ohio Turnpike look exactly the same, and there’s serious déjà vu every time we get off the road for a break. This is what happens when you spend 20 hours in the car in the span of 36 hours. It’s Chris’ birthday! 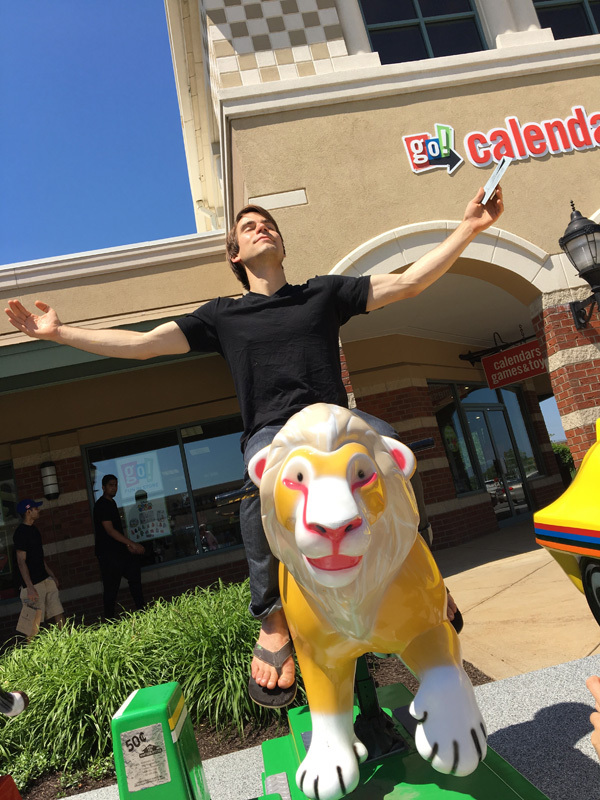 Here he is in his full glory, riding a toy lion.